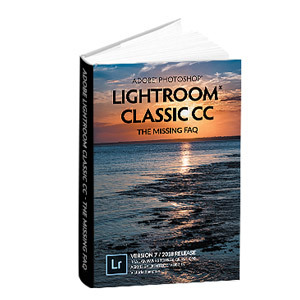 What's New in this Lightroom Release > Lightroom Classic Updates > What’s new in Lightroom 4.3? Lightroom 4.3 is now available as a final release, with further bug fixes, more cameras, and additional support for Apple MacBook Pro Retina displays. Autolayout produces a Book with the correct amount of pages but without any images added. Please note that this only occurs when the filter is set to “Unused”. Uploading large panorama images to Revel caused Lightroom to crash. The “Unused” filter was not properly filtering images within the Book Module. Lightroom hangs while changing the Exposure adjustment by typing in a numeric adjustment. Please note that this only occurs when the Enter key is not typed to confirm the adjustment and another Develop adjustment is tried. Also please note that this only occurs on Windows. After creating a new folder in Lightroom, attempting to undo that folder can sometimes cause a corrupt catalog. An image can be simultaneously flagged as both a Pick and Reject at the same time. Using multiple colors within a single text cell within the Book Module can cause Lightroom to crash. Unable to post photos to Flickr when the image filename contains an apostrophe. The active Develop slider, the one controlled with + and – keys, defaults to Exposure when moving from one photo to another. Catalogs from Photoshop Elements 11 would not update in Lightroom. Site titles longer than 70 characters created in the Web Module can cause Lightroom to freeze. Cell padding linking lost between sessions. Deleting the top image in a stack causes the entire stack to disappear. Tethered capture fails when turning camera off and back on. This also can occur if the camera goes to sleep and then wakes. This occurs only with Canon cameras and on Mac only. Cropping an image to a small size sometimes causes the image in Develop to become blurry. AVCHD video formats are not properly importing into Lightroom. Please note that this only occurred on Mac. Enable Profile Corrections does not auto find iPhone 4 profile. Crop doesn’t update in second monitor if navigator panel closed. Please note that this only occurred on Mac. TIFF files can experience tonal shifts within Lightroom. Mask overlay are displayed in filmstrip and navigator. They should only be displayed in the Develop Loupe. Video files created on an iPhone 4 flickers when played in Lightroom. 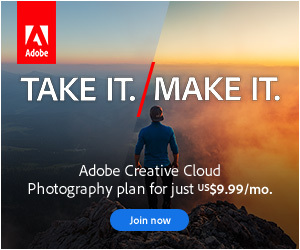 Performance issues aren’t specifically mentioned in the release notes, however that doesn’t mean that Adobe have been resting on their laurels. Many users who were experiencing issues on 4.2 and earlier reported significant improvements in the release candidate. Lightroom x.1 releases are the only dot releases that can include major new features, however Adobe managed to sneak a couple of new features into 4.3 release candidate and improved them further in this final release. Photoshop Elements 11 catalogs can now be upgraded to Lightroom catalogs. The release candidate had initial support for the Apple MacBook Pro Retina display but it was limited to the preview in the Develop module. That’s now been extended to the UI elements and the preview in the Library module too. You’ll find a new standard preview size (2880) in the Catalog Settings > File Handling tab, especially for Retina display users. Support should continue to be improved over time.